My First Bike explores the life and work of professional frame builders by going back to the start and looking at the first bike they ever built. Today’s My First Bike features Yoshi Nishikawa, a production welder for Seven Cycles who recently launched his own company, Kualis Cycles. These two frames were almost built at the same time. One of them is for a C1 racer on the Rapha Japan team. The other one is also for a C1 racer. I had an order from the customer directly through my blog and website. The customer wanted a bike which made him win in a cross race. When I design a bike, when I decide what tubes to use for the customer, after checking the customer’s information, I always imagine a frame in my head before it is built. Maybe this way is from my past experience as an architect. I make a little story between the customer and a bike. This bike was also built through the process for only this customer. I design and build each bike with each character. Every bike is different even though I use the same tubing. My First Bike explores the life and work of professional frame builders by going back to the start and looking at the first bike they ever built. 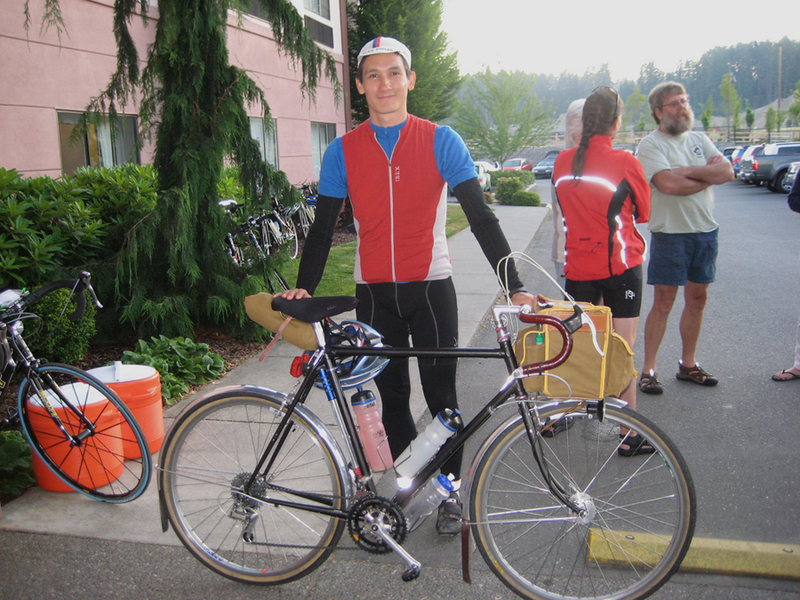 Today’s My First Bike features Dan Boxer of Seattle’s Boxer Bicycles. I built my first frame at United Bicycle Institute in Ashland, OR in September 2005. It was designed to be a 650B wheeled randonneur. 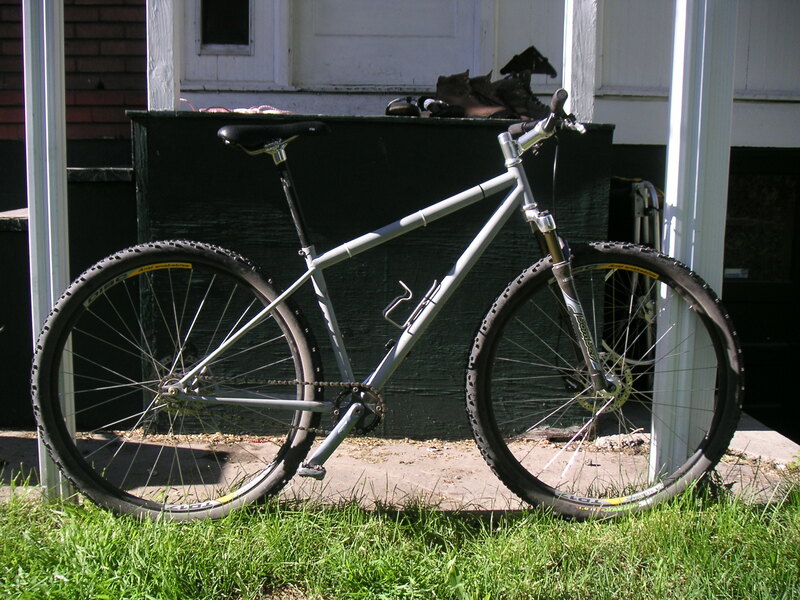 It was meant to carry a handlebar bag with a dedicated, handbuilt rack; use dynamo lighting for the headlight; braze-ons for the battery taillights; provide clearances for the then-oddball size 650B x 38mm tires and fenders; and the big “challenge,” braze-on brake bosses for MAFAC Dural Forge “Racer” centerpull brakes. As it happens, I was able to convince the instructor Ron Suthpin that it was okay for me to use the Richard Sachs Newvex lugs, even though they were a bit ornate on the shoreline for a first build to braze very cleanly. I also snuck in some lightweight tubing, .7/.4/.7 Columbus downtube, .8/.5/.8 top tube. I went a little “fancy” on the dropout connections, trying to emulate the French style where the very end of the scalloped stay or blade end is not filled. It looks cool and requires good heat control to make the filler go where you want it to, especially for a first build. I asked the Ron, and Gary who was assisting Ron at the time, how to do this technique and was advised against it. But I went ahead and did it anyhow. My First Bike explores the origins of professional frame builders by going back to the start and looking at the first bike they ever built. 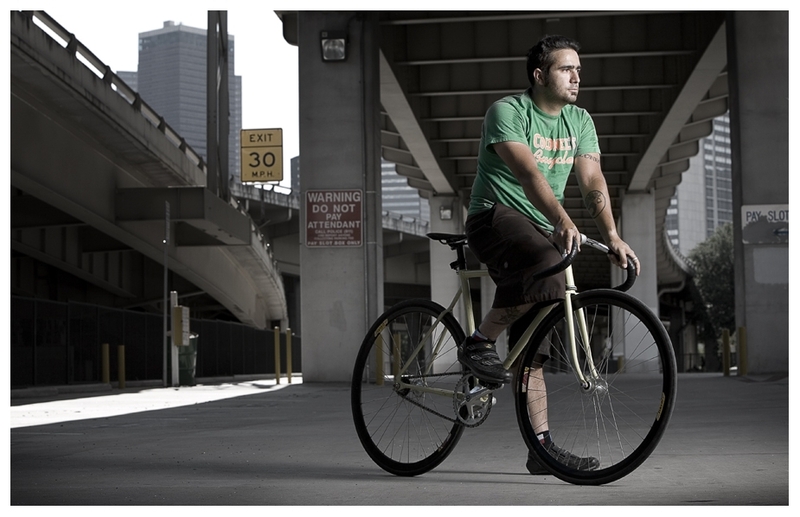 Today’s My First Bike features Jeremy Shlachter, the builder behind Gallus Cycles in Fort Worth, Texas. Give me the short rundown of your first frame: when was it built, where, materials, any special details about it, etc? My first frame was a track frame built under the guidance and watchful eye of Koichi Yamaguchi at his frame building class in Rifle, CO in December 2006. 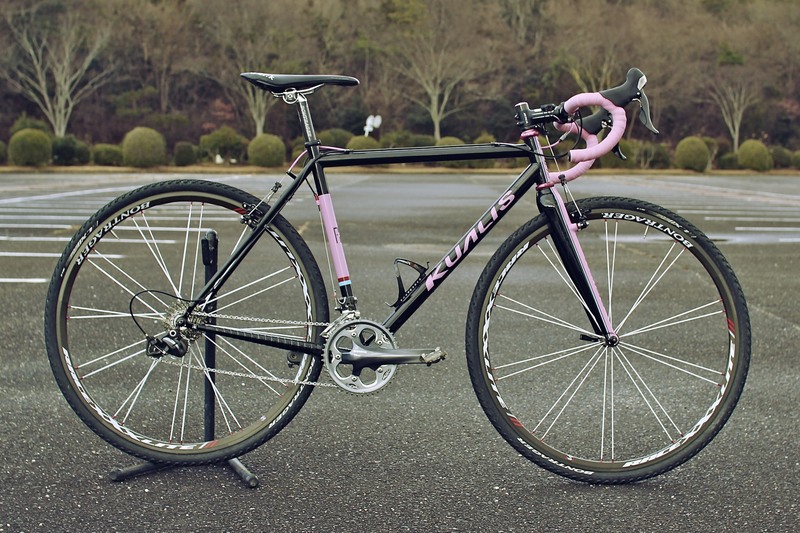 It was made out of True Temper tubing that Koichi had designed many years before, along with Long Shen lugs, fork crown, bottom bracket shell, and Henry James Dropouts. As far as lugged track frames went, it was pretty standard with steep head tube and seat tube angles, high bottom bracket, and short chain stays. I went for a wishbone seat stay attachment, but other than that kept it straightforward as I was mainly trying to get my head around basic techniques of brazing and filing. My First Bike explores the origins of professional frame builders by going back to the start and looking at the first bike they ever built. Today’s My First Bike features Eric Estlund, the man behind Springfield, OR’s Winter Bicycles. The first bike I built was a grass track fame built under the eye of Ron and Gary at United Bicycle Institute. It is made from Kaisei tubing with Paragon drops and one of Andy Newland’s wishbone rear castings. The fork crown is a Long Shen unit I still use. Nothing terribly notable about the design—I wanted to build something fairly simple the first round to learn about the process without getting bogged down in the minutia. I appropriately guessed I would have my hands and head full. 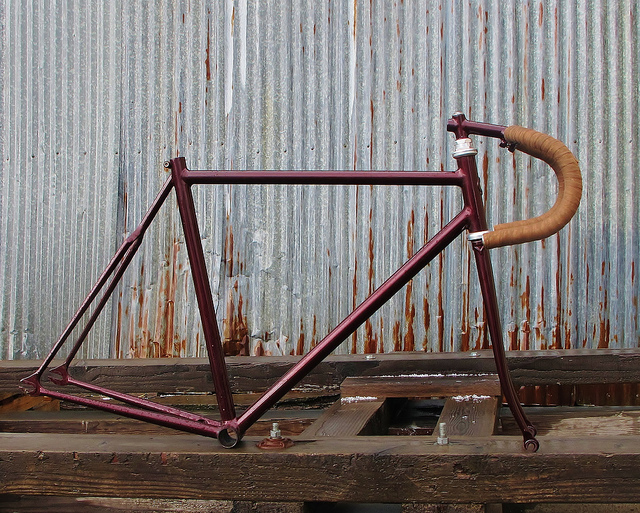 Once I left UBI this was also the first frame I personally powder coated and has the first stem I built independently. We’re launching a new feature today on The Bicycle Story called My First Bike. My First Bike explores the origins of professional frame builders by going back to the start and looking at the first bike they ever built. The inaugural My First Bike features Tony Pereira—Portland, OR-based frame builder, multi-time North American Handmade Bicycle Show prize winner, and master egg-poacher. Give me the short rundown of your first bike: when was it built, where, materials, any special details about it, etc. I built my first bike in 2003. At the time I was working in a bike shop in Salt Lake City and we were selling a fair number of 29ers. I liked the idea, but thought I could make some improvements, so my first bike was a 29er. I had been singlespeeding for a little while, so I made it a singlespeed too. The materials and construction were the same as what I use today: fillet brazed steel.